The pinkish-white, identically sized, round pearls that you probably think of as the classic strand of pearls are most likely Akoya cultured pearls. These pearls are most often produced in Japan, but are also farmed in other parts of the Asia-Pacific area. Koichi Mikimoto of Japan was the first to culture a round pearl in the early 1900s after years of experimentation. Today, the Akoya cultured pearl (named for the type of oyster used to produce it) continues to be a specialty of Japan. The legendary beauty of Akoya pearls is attained by just the right water temperature and pH balance in the waters used to cultivate them. That means they can only be produced in certain parts of the world. The majority of Akoya pearls come from Japan, though they are also produced in China, Vietnam and a few other areas. To culture Akoya pearls, one to two round shell beads are implanted into the tissue of a pearl oyster. In reaction to this irritant, the oyster begins to produce nacre, the lustrous white coating that creates the pearl. The longer the pearls are left in the water, the more coats of nacre they will have, which makes them more beautiful. The bead remains within the pearl as its nucleus. Higher-quality Akoya pearls are almost reflective in nature and appear to have several layers to them: this phenomenon is called luster. The water temperature and makeup, as well as longer cultivation periods resulting in thicker nacre, all contribute to this spectacular lustrous sheen. Akoya pearls occur naturally in colors such as pink, silver, cream, white, gold, gray and blue. They rarely occur in black, green or other exotic colors — if you see Akoya pearls in these colors, be sure to ask the seller if the color is enhanced. Smoothness is a quality factor that affects the grade and price of Akoya pearls. Because they often live in the ocean for six to 18 months, Akoya pearls often come with at least a certain number of blemishes from the months of exposure to saltwater, sand and other natural elements. But the fewer blemishes there are, the more the pearl is worth. You’ll often see Akoya pearls that are perfectly round, because they tend to be cultured for roundness — which is one of the reasons their nuclei are round shell beads. Akoya pearls are often valued for their roundness and the symmetry of their shape and size when used in pearl strands. While Akoya pearls range from 2mm to 10mm in circumference, the average size is 6mm to 7mm. Akoya pearls are best known for their use in beautiful, well-matched pearl strands, which feature pearls that are nearly identical in size, shape, color and quality (luster and surface flaws). 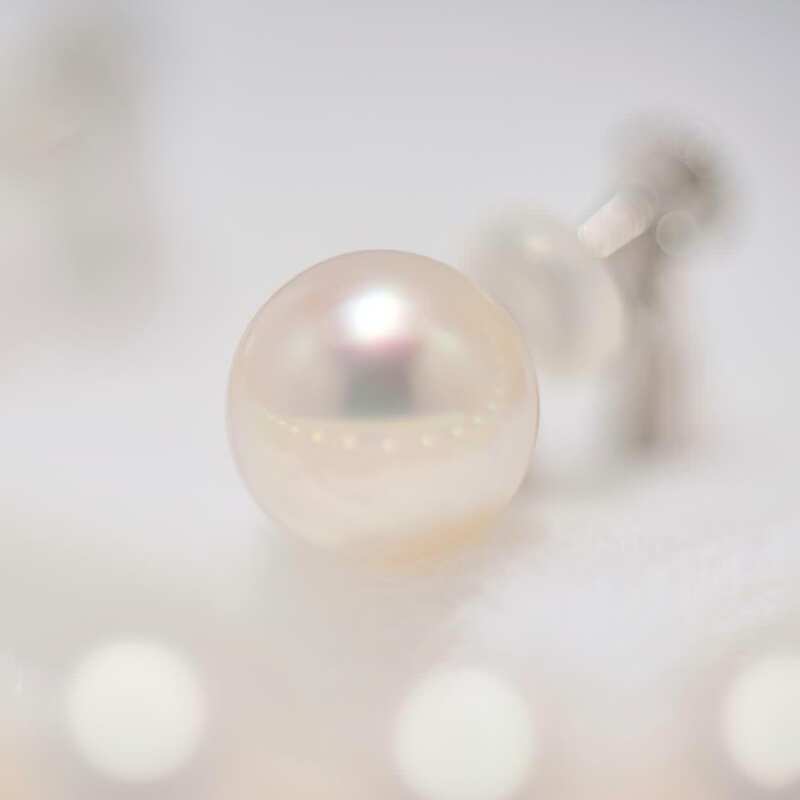 Akoya pearls are also popular in pendants, stud or drop earrings, and rings.